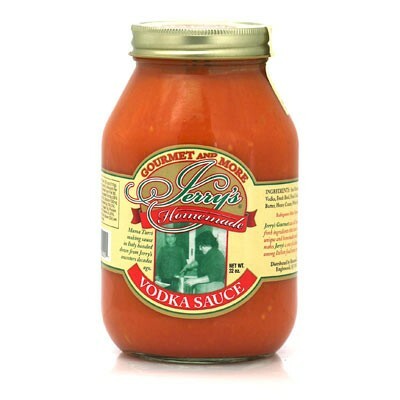 The Jerry's Vodka sauce is an Italian red sauce made from a relatively smooth tomato sauce, plus cream, vodka and typical Italian herbs. It is best paired with a short cut of pasta like Jerry's Penne Rigate. What makes Jerry's Handmade Sauces the best and freshest jarred sauce on the market? We start with Mama Turci's authentic recipe, then use only the best ingredients, including authentic italian tomatoes and prepare them by hand in small batches with love to ensure a consistency and freshness other pasta sauces simply can't compete with. There are NO preservatives, colors, or chemicals.